The conference and exhibition will focus on PV+storage, PV+hydrogen, fuel cell, new energy vehicles, and cover the entire value and supply chain of the industries. You are cordially invited to attend SNEC（2019）International Energy Storage and Hydrogen & Fuel Cell Conference and Exhibition on June 4-6, 2019 in Shanghai, China. SNEC（2019）International Energy Storage and Hydrogen & Fuel Cell Conference, co-located with SNEC 13th (2019) International Photovoltaic Power Generation and Smart Energy Exhibition & Conference, is hosted by the Shanghai government and the Shanghai New Energy Industry Association (SNEIA), and endorsed by Global Green Energy Industry Council (GGEIC), International Battery & Energy Storage Alliance,Global Energy Storage Alliance（GESA）, International Association for Hydrogen Energy (inviting), EUPVSEC, ETA-Florence. 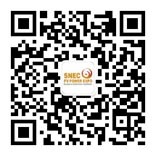 SNEC（2019）International Energy Storage and Hydrogen & Fuel Cell Conference aims to promote the cooperation of energy storage, hydrogen energy and fuel cell technology in China and around the world. The Conference will discuss policies, cutting-edge technology, market trends, business model, and financing tools, etc. in order to strengthen collaborative innovation and promote healthy and orderly development of energy storage and hydrogen energy industries. SNEC（2019）International Energy Storage and Hydrogen & Fuel Cell Conference has invited several internationally influential keynote speakers including the chairman of the Hydrogen Council and is inviting the senior expert of fuel cells at the Joint Research Center of the European Commission, as well as leading scholars in solar energy and hydrogen energy integration system solutions from Japan. The conference also invited guest speakers from leading universities and research institutes from China, such as Tsinghua University, Shanghai Jiaotong University and the Chinese Academy of Science. The areas of expertise covered include energy storage, hydrogen production and transportation, and power generation project development. The conference attendees and speakers also include policy makers, municipal government officers, executives from leading enterprises, financial institutions, consultancies and media partners. The conference and exhibition cover the entire industry value chain and supply chain. We are looking forward to welcoming you coming to Shanghai, China from around the world in June 2019. Hydrogen manufacturing equipment/technology, reforming equipment/technology, multi-process hydrogen production equipment/technology (natural gas steam conversion, methanol cracking hydrogen production, coal hydrogen production, water electrolysis hydrogen production, chemical hydrogen production, renewable energy hydrogen production, etc.) ); hydrogen production company; residual hydrogen supply enterprise; methane / propane / butane / methanol, pure hydrogen, synthetic hydrogen, hydrogen, gasoline / kerosene / solvent oil, hydrogen detection equipment. Hydrogen storage tank / hydrogen storage tank, hydrogen sensor, distributor, hydrogen storage alloy, hydrogen storage related materials, hydrogen pipeline, pump, valve, special transportation vehicle, etc. ; related equipment: gas turbine / steam turbine, frequency converter / variable Flow, absorption chiller, other related technical equipment, pure water manufacturing equipment, grinding machine / distributor / mixer, cleaning equipment, furnace / drying furnace / firing furnace, computer-aided manufacturing, etc. Electrode/catalyst, membrane electrode set, other cell stack materials, gas diffusion membrane, separator, heat utilization/thermal energy technology, gas and electricity symbiosis system, radiator, heater, hot water storage tank, heat exchanger, supply technology: valve /Connectors,Chemical Oxide,Compressors,Carbon Nanotubes,Pumps,Air Blower, Other Related Product Technology; Evaluation/Testing/Analysis: Single Cell Test Equipment, Electronic Load Instruments, Hydrogen Sensors, Gas Analysis Equipment, Analysis Software (Structure , heat, electromagnetic, fluid, noise), electrical characteristics evaluation device, material testing equipment, battery side-emitting equipment. Proton exchange membrane fuel cell (PEMFC), alkaline fuel cell (AFC), molten carbonate fuel cell (MCFC), solid oxide fuel cell (SOFC), phosphoric acid fuel cell (PAFC), phosphoric acid doped proton exchange membrane fuel Battery (PBI-PEMFC); direct methanol fuel cell (DMFC) metal air fuel cell (MAFC) and other fuel cell systems and products; hydrogen internal combustion engine; etc. ; application: communication base station (backup power / emergency power), mobile phone and special market , other applications, etc. Battery management system, PCS energy storage inverters, heat exchanger equipment; electric vehicle charging station and facilities related, etc. Compressed air energy storage, pumped storage, superconducting magnetic storage, flywheel storage, thermal/cool storage, hydrogen storage and storage technology and equipment for plug-in electric vehicles, various types of batteries (nickel-hydride batteries, lithium batteries, lithium polymer batteries, lead-acid batteries, smart batteries, etc. Hydrogen energy natural and other new energy clean fuels, Charging station, Charging post; Smart network program plan for charging station and its results display; Electric van, electric car, electric sight-seeing bus, electric golf cart, cleaning trolley, hybrid car, solar energy electric vehicle, light electric car (micro hybrid, light hybrid, moderate hybrid, heavy hybrid and plug-in hybrid). Copyright@SNEC - All Rights Reserved.